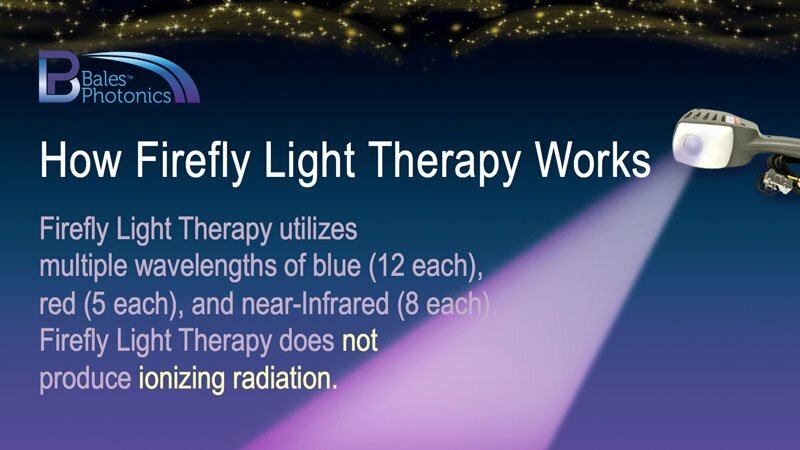 Introducing Firefly: The latest in multi-spectrum LED light therapy for pain, neurological disorders, and pathogen issues. 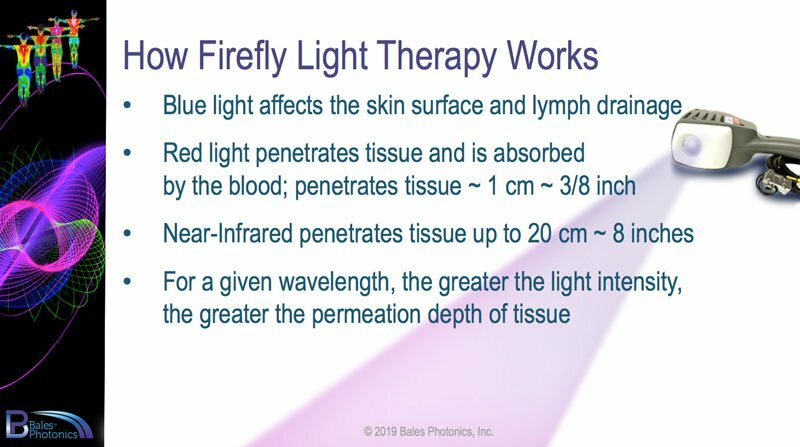 Exciting data from current clinical studies indicate that Bales Photonics new Firefly device may be able to reverse the symptoms of central nervous system disorders like Parkinson’s and Alzheimer’s. 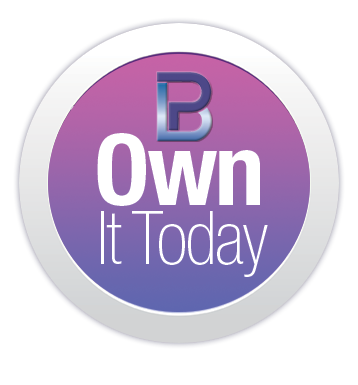 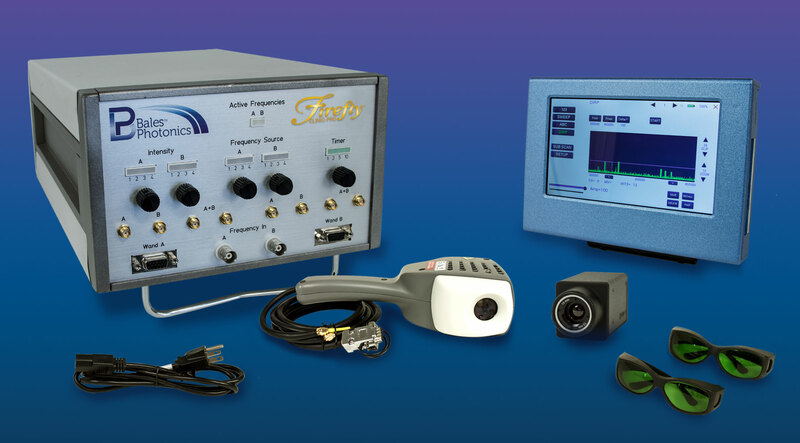 Additionally, extensive proof exists documenting pain relief from all types of inflammatory diseases and injuries with the use of this multi-spectrum technology. 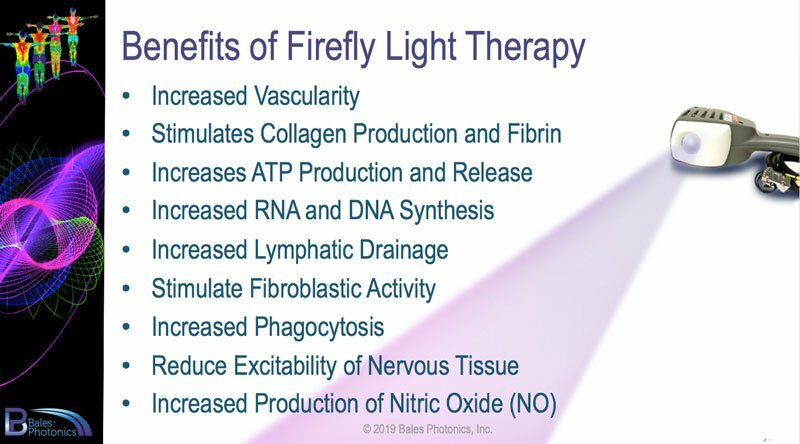 The new Firefly Clinic and Clinic Pro Models utilize a powerful wave of light to penetrate the skin, tissue, and surrounding nerves to treat soft tissue injuries, reduce pain, promote wound healing, and provide therapy for chronic conditions such as arthritis and failed back syndrome. 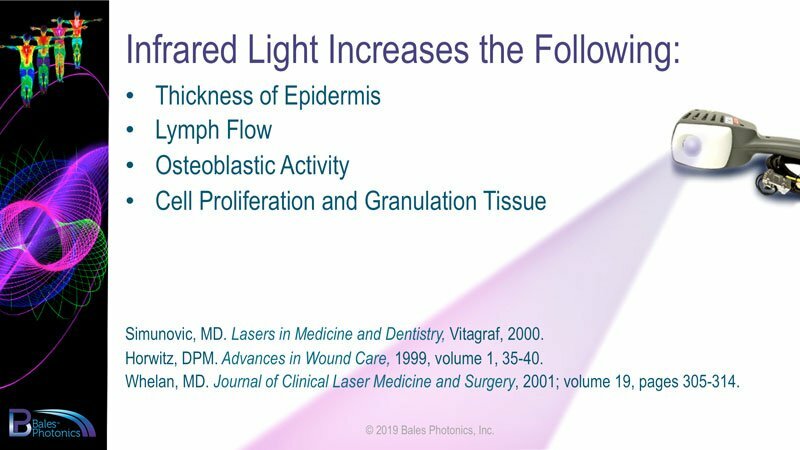 Before and after infrared images of treated areas show increased blood circulation that allows the body to heal itself without drugs or surgery.